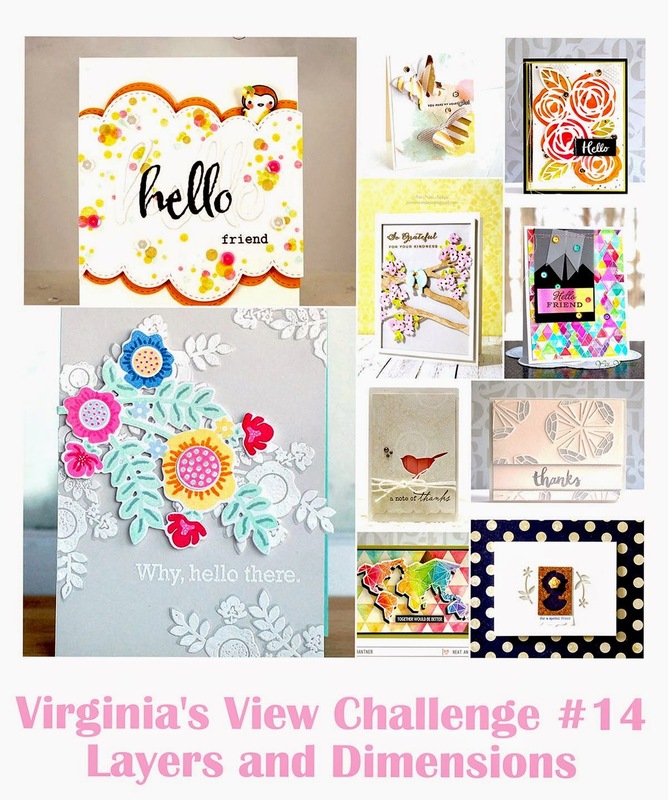 Hello Everyone I am honored to be here Guest Designing with Lovely Virginia :) The Challenge for this month is all about layered and dimensions. For my project I used Winnie & Walter Essentials: Audrey Cutaways and start layering it with the ginormous "hi" from In a Word: Hi Cutaways. To begin I first die-cut the largest frame from the Essentials: Audrey Cutaways and watercolored it. Then die-cut the big "hi" and watercolor some more, lots of playing how to make my flower look like flowers. If you have not tried watercolor yet, you got to give it a go, because its really relaxing and there's no wrong in doing it, its up to you how you want your image or images to look like :) plus its just plain fun. I then die-cut 4 more "hi" and adhered it on top of each other to create dimension on my card. Next, I added some vellum flowers that's been heat embossed in gold, then fussy cut using the flower images that I designed for Winnie & Walter In Bloom: Lola's Bouquet. To finish off the card I added a strip of dark grey cardstock and heat embossed the sentiment "beautiful" from The Big, the Bold and Friends. Beautiful card Joni!! 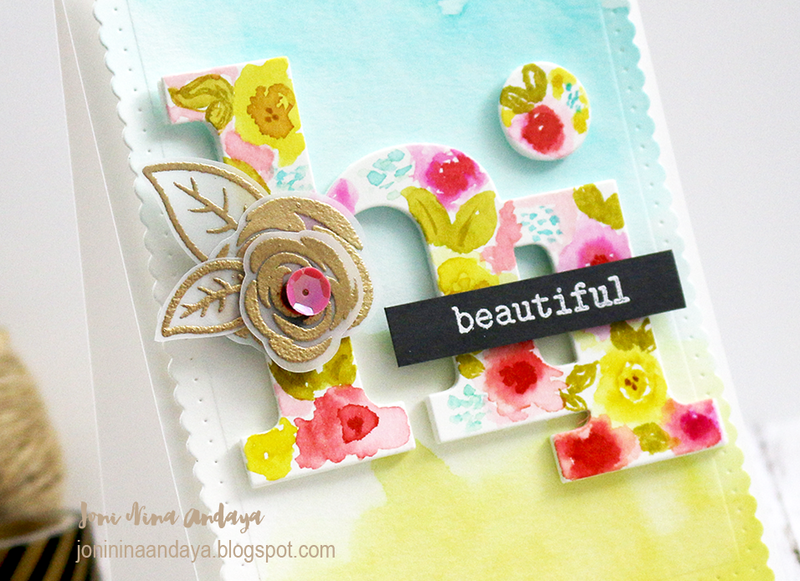 I love your stamping on the letters! Soooooooo gorgeous! LOVING those colors!!!!!! i absolutely LOVE this Joni!! It is just so gorgeous, your watercolored letters are awesome!!!! You are AMAZING with layers, details and dimensions, Joni! 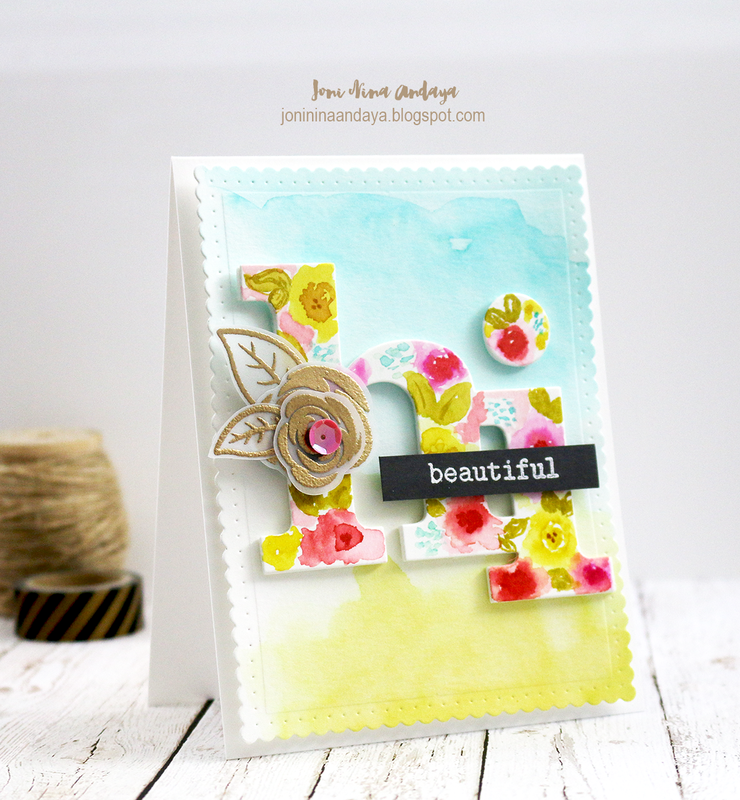 I love the stamping of the floral pattern on the sentiment and the watercolored background is stunning! Thank you so much from the bottom of my heart! Oh, this is just so gorgeous!